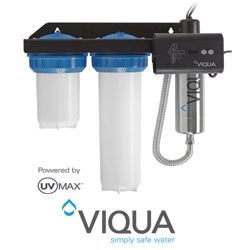 Ultraviolet filters from Pura and Viqua are a safe, clean, easy-to-maintain method of assuring that water is free of bacteria. It is a proven technology that has no significant drawbacks. In some applications, its initial cost is a bit more than chlorination, but because of its low operating cost, it quickly pays for itself. 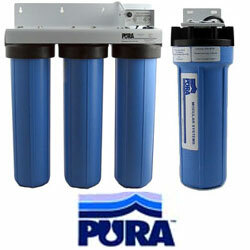 It is environmentally friendly and essentially trouble-free.